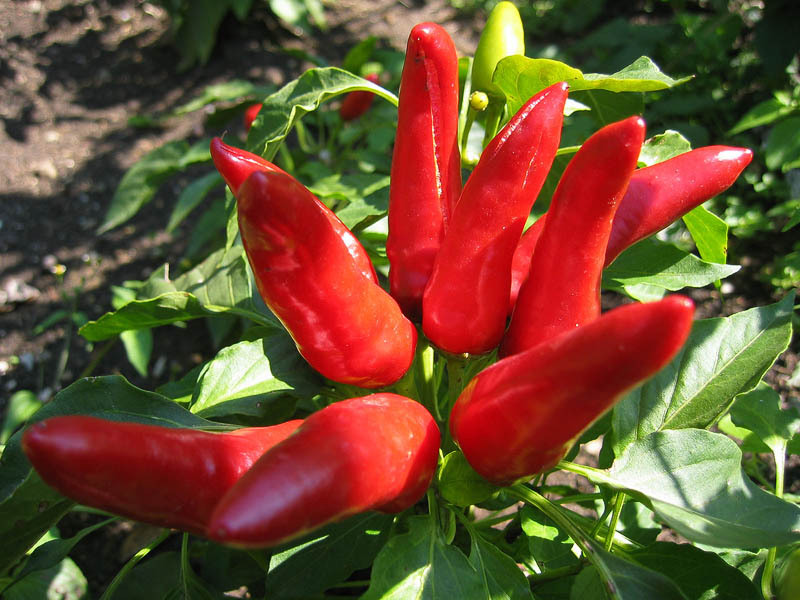 Hot pepper plant with ripened in sun peppers in vegetable garden. Healthy natural food. Horticulture.